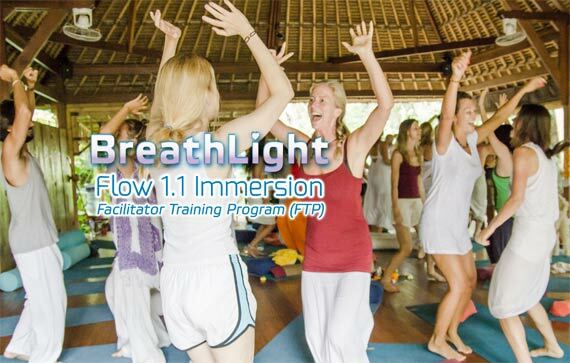 BreathLight Bliss FLOW 1.1 is the FIRST of THREE Immersion Courses to complete the BreathLight Facilitator Training Program. Flow 1.1. Immersion is the Five Day initial open source ‘mystery school’ ground for individuals choosing to consider the entire BreathLight Facilitator Training Program (BL-FTP) as a super life-loving path to tantric self-mastery and full application of enlightened sovereignty. We live in a beautiful shifting world that is now just waiting for you to show up in your fullest divine potential and serve your friends, family, and community. It is from this core FLOW 1.1 seed that the clear guidance to nurture, blossom & expand with Mikael KIng & Friends into Synergy 2.2 and Presence 3.3 will reveal itself in the full collective beauty way. 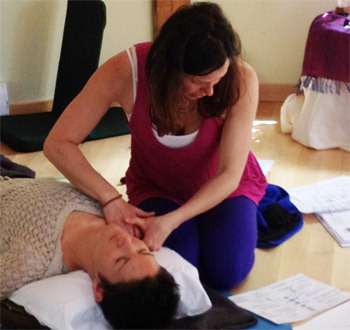 Intending to facilitate or simply invigorate your practice, the FLOW 1.1 Course is an in-depth practicum loaded with activation tools & nurturing keys for the loving & dynamic presence within. Participants will receive an experiential ‘hands on’ practical approach to confidently empower themselves and others in a life-transforming breath process. In Flow 1.1, there is a strong emphasis on Somatic Movement (Conscious Dance) and its correlation with conscious Breath. Concentrating on the innate ability to expand the breath through self-sensual inner movement while also allowing dance to instill a deeper integration of breathlight’s capabilities in one’s everyday life will be a key element of focus. • To comprehend & embody the philosophy of Thriving Holographically in a Now Earth Frequency & taking full universal responsibility for everything in your life all the time, no matter what it is. • To enrich your inter-dependent life with the Hawai’ian Huna tri-unity creed of Ho’opono’pono, Mai’kai’i, and Aloha. • To Shamangelically apply an empowered state of Fullest Potential Bliss through Nurturing Tools & Epic Celestial Life-Mastery Teachings that support you & your future clients to move gracefully through holographic sub-patterns from past/future memories, childhood trauma, relationship dysfunction, ancestral causation, galactic signature blockages, abuse, addictions, etc. • To co-create oscillating vibrational patterns within your physical spine via somatic breath-movement techniques administered at the core cellular DNA level. • To immensely FEEL & DANCE in all parts of your body in ways that you have never felt before activating Emotional Celestial Intelligence. • To remember who you are, realize what you are really here on the planet for, and why you must have spectacular FUN being, creating, sharing & facilitating what you LOVE no matter what is relatively F$%&-ing happening. 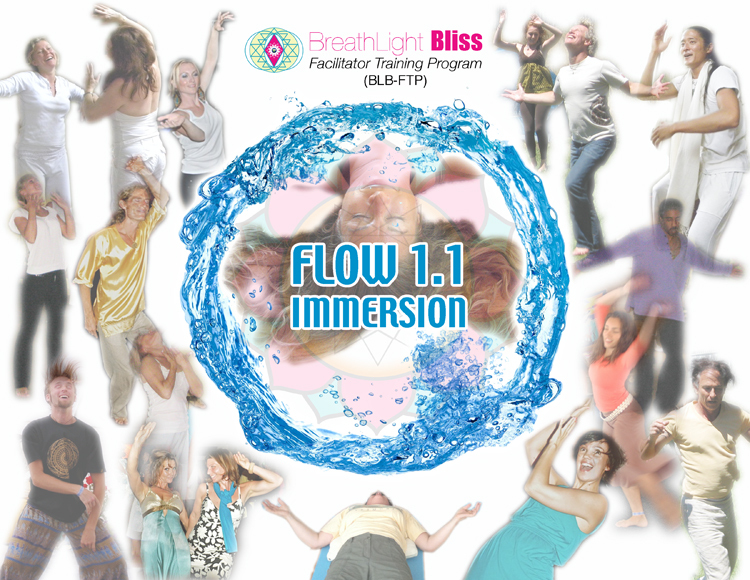 • To magically play, breathe, dance and enjoy the collective FLOW 1.1 Immersion in an incredible juicy, multi-dimensional safe container for total dream life-transformation with other incredible life-affirming individuals. • To fearlessly nurture & confidently facilitate a One on One Private Session of BreathLight with Acupressure Half-Body Mapping. FLOW 1.1 is a foundational course based on Mikael’s personal 15 years discovering the Infinite Light through the Breath. Through Yogic Pranayama to Tibetan Lung exercises to the vast array of Transformational Breath Techniques, Mikael is thrilled to be offering the FIRST of THREE Immersion Trainings on his unique DivineJoy imprint on the Transformational BreathLight Process. In General, whether you are new to the breath process or an avid breath yogi junkie, this course will provide a holistic heart pathway to igniting a personal empowered commitment to the Breath as a way to comprehending, assimilating, and applying the Wisdom of Pure Source Consciousness into your every-moment life. All-Inclusive Package Includes: Module 1.1 of the 3 part Certification Training Manual, All Seminars, 6 Nights Shared Luxury Accommodation, Morning Vinyasa Flow Yoga, Optimal Nourishing Living Food Meal plan, Dolphin Boat Excursion, Ancient Temple Ceremonies, Epic Waterfall Hikes, Nurturing Spa/Massage and more! Click HERE or on Banner Below for Details. Pay by September 5th, 2014 & Save on Early Bird Discount! All BL Facilitator Training Sessions from October 3-9th will be held at Villa Boreh Oceanside Retreat & Spa in North Bali. Please Contact Us at info@divinejoy.org or in Bali (062) 82144092677. 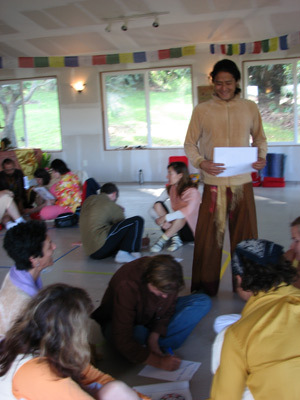 Mikael and his Support Team is also available to co-create, share, & teach Private or Public Immersion Training Retreats with Hosts and/or other Co-creative Teachers worldwide and/or private groups visiting the Isle of Bali or Kaua’i.